The Scottish National Gallery of Modern Art is located west of the Dean Village and is easily accessible from the Dean Valley and the Water of Leith walkway. 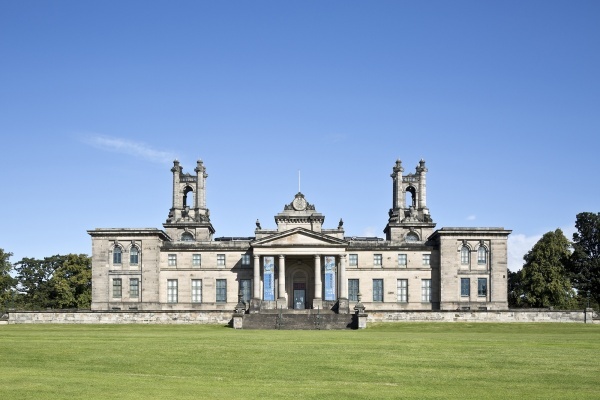 The Scottish National Gallery of Modern Art is a must-visit venue for modern and contemporary art situated in a beautiful sculpture park in the west of Edinburgh. Admission is free. A charge may be made for special exhibitions. The Scottish National Gallery of Modern Art is housed in two buildings, Modern One and Modern Two, set in beautiful grounds. On this map you can see where the two galleries are located. You can also see the steps leading up from the Water of Leith walkway to the galleries. You can get to the Scottish National Gallery of Modern Art by foot via the Water of Leith or from the West End of Princes Street. The Gallery is situated on Belford Road. Modern One is housed in an imposing neo-classical building, which was designed by William Burn in 1825. Formerly the John Watson’s School, an institute for fatherless children, it was adapted for the Gallery in 1984. It is home to the National Collection, as well as a changing programme of international exhibitions and displays. Modern Two, set in one of Edinburgh’s most beautiful buildings, originally built as the Dean Orphan Hospital in 1833 by Thomas Hamilton, opened across the road from Modern One in 1999. As well as a changing programme of exhibitions, the gallery houses a re-creation of the sculptor Eduardo Paolozzi’s studio, and his 3m-tall sculpture, Vulcan, which dominates the café. Both Modern One and Modern Two have a café and a shop. The Scottish National Gallery of Modern Art covers the period from 1900 to now, and has a world-class collection of international, Scottish and British art. It features everything from French and Russian art from the beginning of the twentieth century to a world-famous collection of Surrealism and Dada, including works by Dalí, Giacometti, Miró and Magritte. The iconic artists featured in the collection include Francis Bacon, David Hockney, Andy Warhol, Lucian Freud, the Scottish Colourists, Barbara Hepworth, Germaine Richier, John Bellany, Lyubov Popova, Martin Creed and Douglas Gordon. 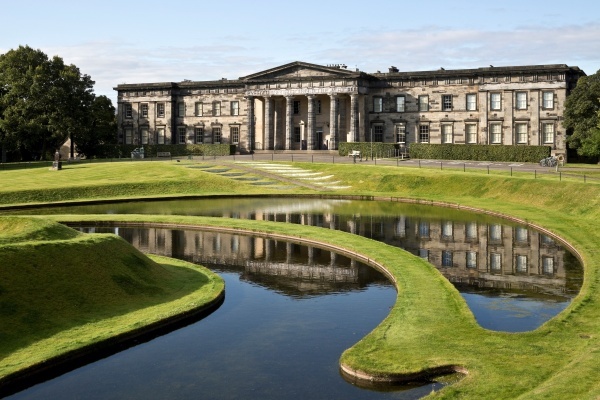 You can also reach the Gallery by the Gallery Bus which runs regularly between the Scottish National Gallery of Modern Art and the Scottish National Gallery. It is also serviced by Edinburgh Coach Lines Service 13. The gallery has metered car parks and disabled parking facilities.